At Novartis Institutes for BioMedical Research (NIBR), our mission is to discover innovative medicines that treat disease and human health. To do that, our scientists need cutting-edge, state-of-the-art computing systems. NIBR is making a strategic investment into IT capabilities and is positioning itself to deliver the systems and services that are critical to the future of drug discovery. The IT organization is seeking senior leadership, skilled designers, and energetic developers who share our vision that science serves a greater purpose in improving human health. We are looking for a smart, pro-active, hands-on technical person to manage our diverse platforms and lead the automation efforts in driving & developing effective solutions. In this complex environment, the Senior Principal Infrastructure Engineer needs broad technical experience in areas beyond DevOps, including High Availability, Disaster Recovery, Public Cloud, Private Cloud and Security. EDUCATION: Bachelors in Computer Science or related field. 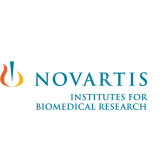 Want to get notified about new jobs at Novartis Institutes for BioMedical Research?